Perfetti Partners with Applicate: For Rural Sales Automation, Powered with AI !! With increased demand, higher growth trajectory and exciting consumption trends, Rural India is emerging as the new promised land for most of the consumer goods companies. Distribution being the key focus of the Rural Strategy, companies are exploring ‘Future Ready’ Rural Sales Automation platform to drive execution, sales and market share in Rural markets. 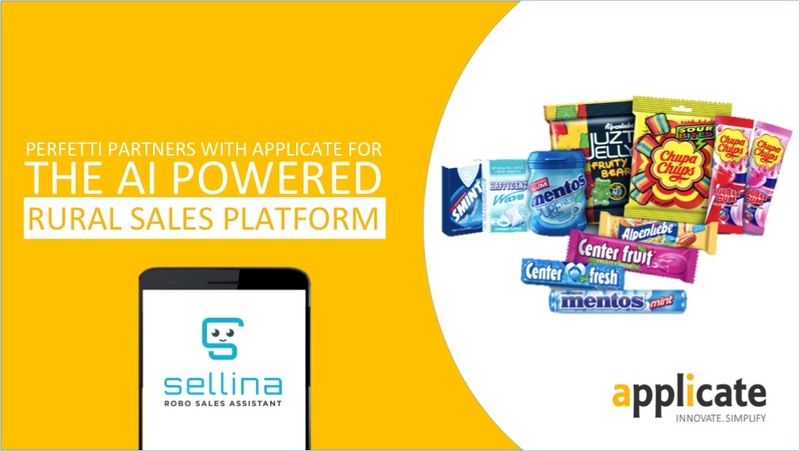 Perfetti Van Melle, one of the world’s largest manufacturers and distributors of confectionery and chewing gums (Center Fresh, Alpenliebe, Mentos, Happydent, Chlor-mint) has partnered with Applicate for its Rural Sales Automation. Perfetti has already been using Applicate’s Modern Trade Execution Tracking platform, and extended its partnership with Applicate for its Rural Sales Force Automation. 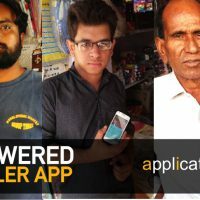 Applicate has created first of its kind AI Powered Rural Sales-Tech Platform specifically designed for Rural Sales and Distribution. Applicate is already working with many top Global and Indian brands like Kellogg’s, Britannia, ITC, Whirlpool, Dulux, Grohe, American Standard, Essilor, Organic India, Bauli, Peter England, Allen Solly, Van Heusen, Hero cycles, Relaxo, Arrow, U.S. Polo, Hanes, Raymonds, Blackberrys and others. As the technology paradigm is changing from Mobile First to ‘AI First’, Applicate has been investing heavily on AI. With an eye on the future, Applicate is the first and the only company with AI Powered Sales-Tech Platform. Applicate’s integrated Sales-Tech platform has ready to deploy next generation apps for GT, MT, DMS, Retailers, and Rural Distribution. How is Rural Distribution Automation Different ? Most of the large consumer goods organisations started their sales and distribution automation journey more than 10-12 years before. 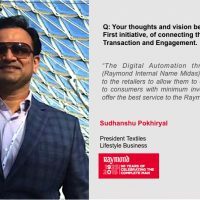 While most of the organisations have achieved maturity in their sales automation for urban markets, rural markets are still not connected in terms of visibility of sales and execution for various reasons. For most of these companies, though Rural markets contribute to 40 to 60% of their business, they are still serviced thru wholesale channel or sub distributors. These channel partners drive company’s reach and distribution in rural areas, but they lack automation infrastructure and capability. This creates a huge bottleneck to drive any strategic initiative in Rural markets due to the lack of visibility of outlet level sales and execution. Capability to handle the complexity of Automation – The smaller distributors in Rural areas are not skilled enough to handle automation system, and hiring a trained manpower for automation is not viable for them. Geographical Complexity – The structure of rural sales team and their work flow is different because these markets are geographically scattered. The current automation systems are not designed to address the diversity of rural markets. Right Solution for the Rural Sales Automation. So, what’s the right automation solution for Rural Markets? A simple answer is, an automation platform that can address the current challenges ! The Rural Sales Automation platform by Applicate is designed to create sales and execution visibility for the rural markets. Low Cost – A ready to deploy mobile based app that can be used by the distributors, DBSM, and the company sales team, without any additional cost of hardware or manpower. No implementation cost, training cost and extremely low maintenance cost makes it viable for the companies to use it at scale. Easy to use – The application has been designed with a clear expectation that any one using WhatsApp should be able to use it without any training. 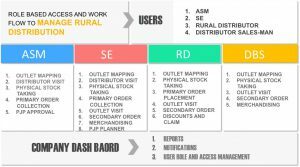 Integrated Work flow – The Rural Sales Automation platform has curated work-flows for all the stake-holders and is designed to address the diversity of rural markets. 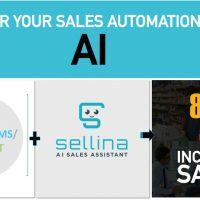 How AI is redefining Sales Automation ! 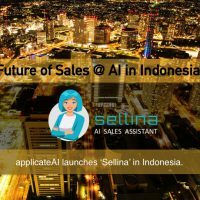 Bots and chatbots powered with AI and Machine learning are going to redefine the Future of Sales. Enterprise AI Bots can do all the logical and repeatable tasks and assist each individual as per their role and function in an organisation. ‘ApplicateAI’ is an integrated AI BOT platform for Enterprise with defined and curated work-flows for Sales, Distribution and Channel Partners. 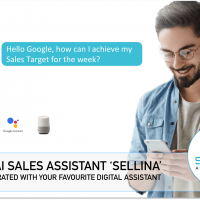 The AI Sales Assistant ‘Sellina’ created by Applicate can simultaneously Assist, Supervise and Train 1000s of sales people and channel partners across the Organization. 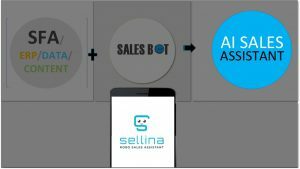 The AI Sales BOT can be integrated with any automation system to make it an intelligent system with exponentially better business impact. 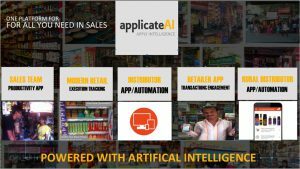 The Rural Sales Automation platform of Applicate is powered with its AI Platform. You can watch this Explainer Video to know more about it or write at ranjeet@applicatetechnology.com. 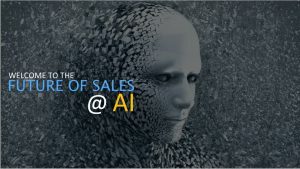 Welcome to the Future of Sales @ AI ! !